Oh, I love your closet! It is my dream to one day have an actual room be my closet. 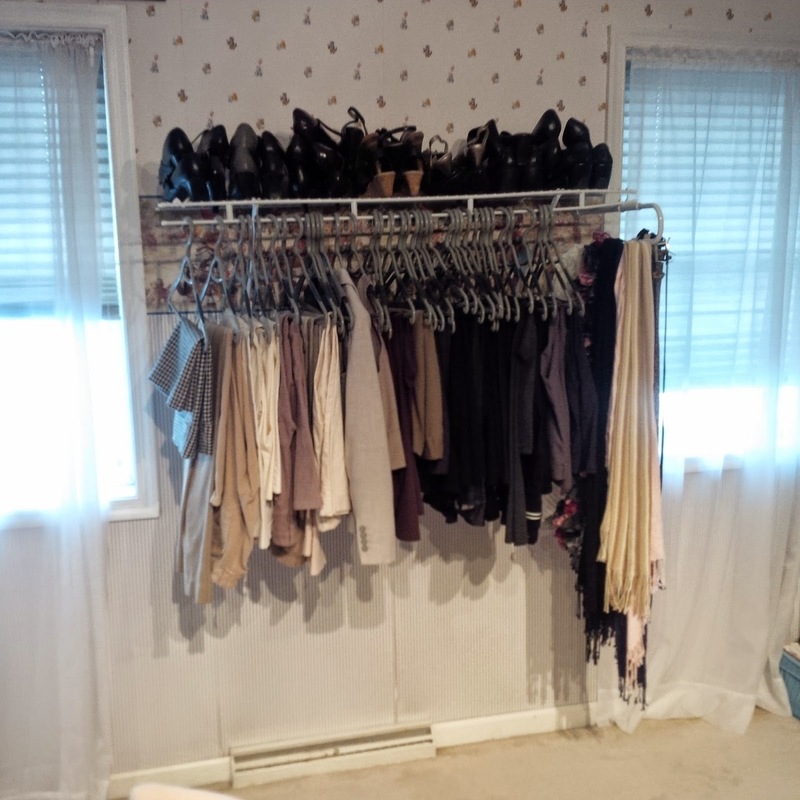 At my old house, I had a huge walk-in closet that was like the size of a bathroom and I absolutely loved it! I go in phases where I spring clean and just get rid of bags of stuff. You did an awesome job organizing, it looks so professional! My goal when I move is to have a well-organized closet...but the hard part will be keeping it neat and organized! Having recently cleaned out my closet, I know how you feel with the abundance of race shirts. I have a tub system, where I'll put clothes that I don't wear into the tub and put it on a shelf. The next time I do a closet cleanout, I take down the tub and reevaluate the clothes inside...usually I am ready to send most of them to Goodwill at that point. I did get rid of a lot of race shirts and older technical clothes that I never wore, and I'm glad I did. I bet once you get started, you'll have an easier time of it. I'm very envious of your dressing room! I do something similar to your tub situation. I put clothes I don't like anymore in a huge suitcase then every couple month i'll shop in the suitcase and find things I didn't remember I had. It's like getting a new piece then! Like Sue, I also seem to go through phases with my cleaning and purging. My last big purge was when we packed up our apartment back in July to move into the house. Now that we've been in the house for awhile, it might be time again for another big purge. I moved a lot of my workout gear to my closet because my dresser was out of control. Now I have room for a lot more clothes, but it took me a while to make that move. It was one of those "I should really do this" and I never did it. 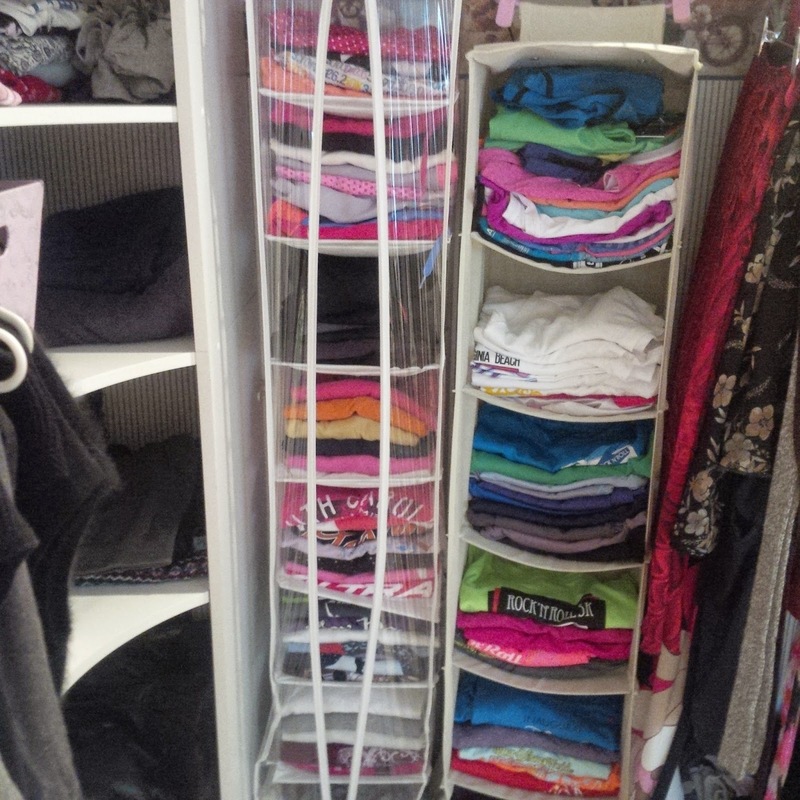 I am drooling over your organized closet!!! Cleaning and organizing closets is one of my favorite things to do. It always makes me feel so good. Nice job with yours! Don't get me started on how many running/work out clothes I have accumulated in the last couple of years. I had to buy not one, but two of those cubby systems from Target to put everything in. As for my shoes, I have a couple of nice boxes (sort of like the pink ones in your last picture). I have two, one for my running shoes and one for my work shoes. I know I won't put them in a shoe organizer, but I will dump them in the box to get them off the floor. You have done a beautiful job! Kudos! Okay, I officially envy your closet! 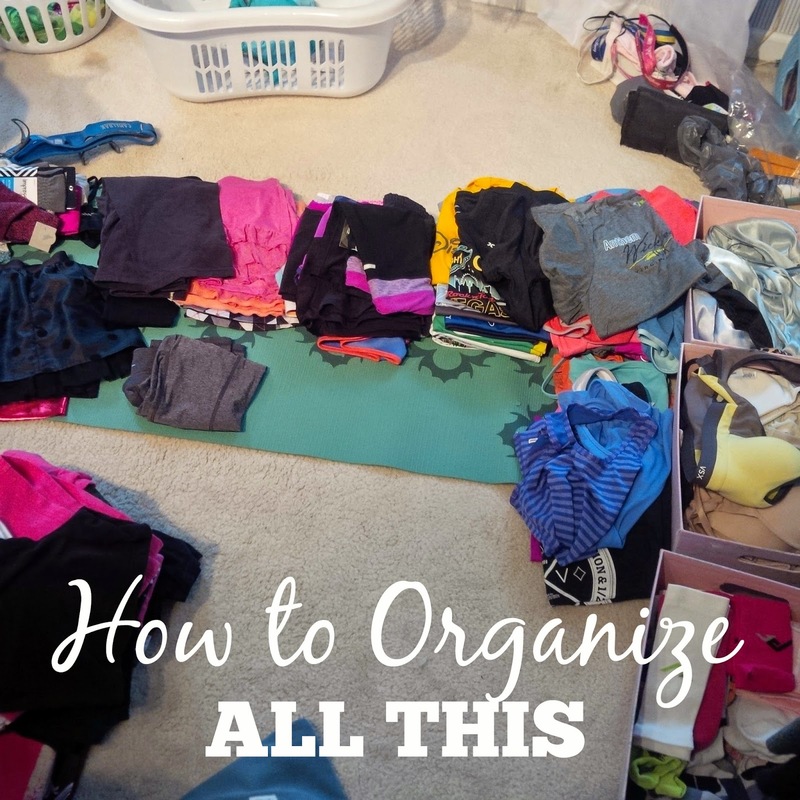 Holy hugeness and so organized! I did a bunch of purging before we moved to our new house. But the running gear is out of control! While it is organized, I probably have far too much! I have a big box in a corner I toss my shoes in. They don't go in a rack here either. My race shirts are in two big bins. I like the idea of the hanging racks. Yes to the race blanket. Project Repat made mine (Christmas gift). It's awesome and not as expensive as the true quilted ones. Since it required 64 T-shirts, I no longer have that huge pile in the corner.